Box subscription services are pretty popular these days. 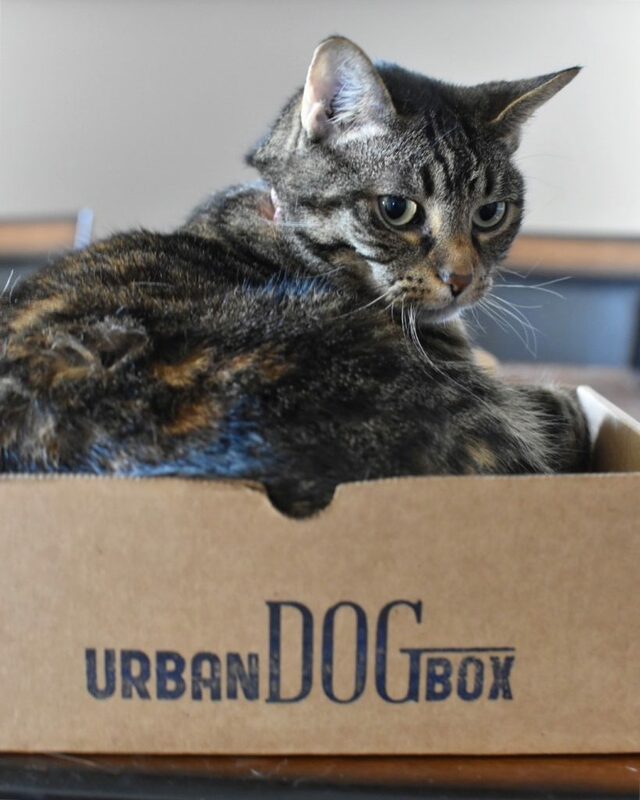 I’ve tried a few different kinds – organic food, meal/ingredients, a technology/programming box, even a box for “cat ladies!” The latest box service I’m trying is for Olive and Artie – it’s called the Urban Dog Box and we received a box to try this week and a box to giveaway to readers/followers! Artie couldn’t wait to dig into his Urban Dog Box! The Urban Dog Box is based right here in Edmonton and ships across Canada. It was created back in 2015 though has just been recently been starting to ramp up business. Their mission is to source and provide high quality, healthy/organic treats for your puppers and woofers. Olive and Artie were pretty patient as we assessed the Urban Dog Box contents. The Urban Dog Box prides themselves in delivering high quality, handpicked products, tailored for the size of your dog. Artie and Olive got a 4-6 item box but the Urban Dog Box offers three box types: 2-3 items, 4-6 items, or 7-12 items. You can order one-time, 3-months, or 6-month packages and the pricing varies depending on size of box and how many repeat orders you commit to. Box prices range from $15 to $49 /month, plus a flat rate of $5 shipping. There also isn’t any recurring charge – so if your 3-month plan is completed, you won’t be auto-charged for another 3-months. 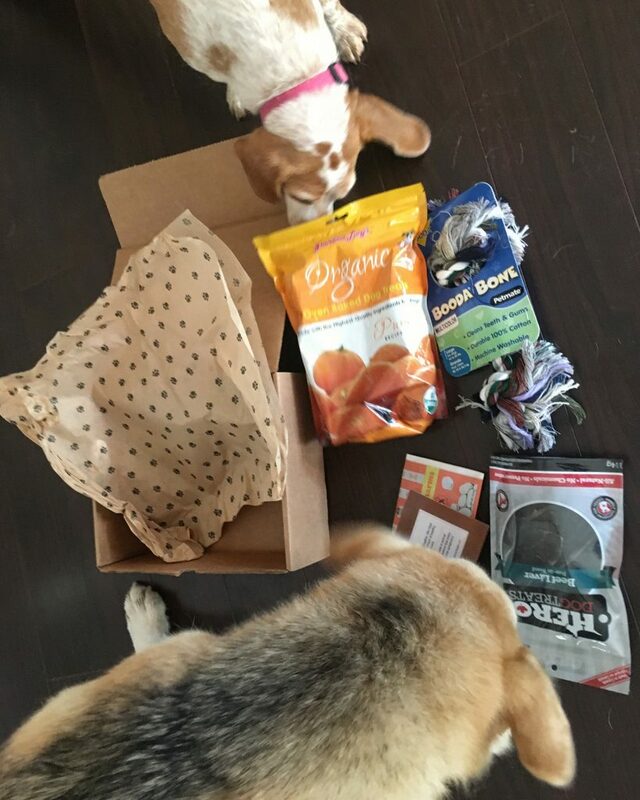 Happy with their Urban Dog Box haul! So they got a pretty good variety of toys and treats! And the best part is – it’s conveniently delivered right to our door! Grandma Lucy’s Oven-Baked Organic Dog Treats! 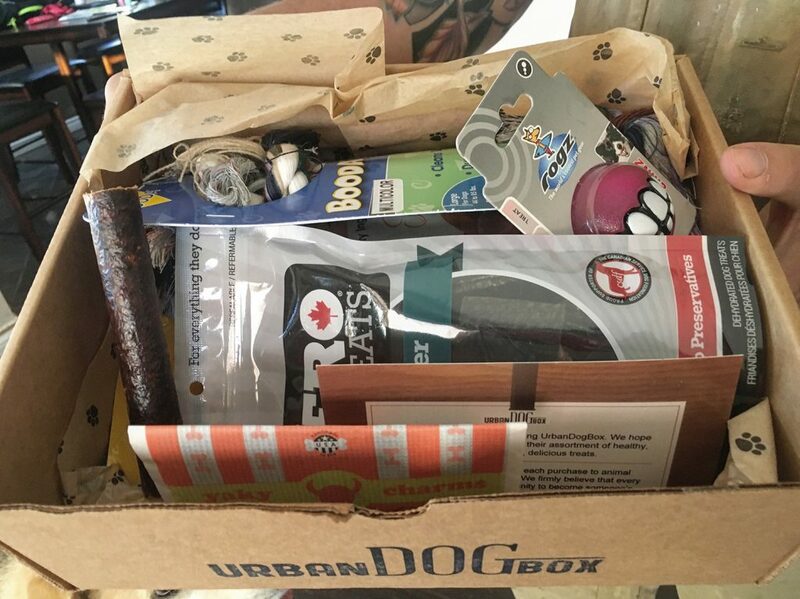 Generally the Urban Dog Box products are also available for purchase in Canada (but if they find a product out of the U.S. that they think is of a high quality, they might sneak that in as well). 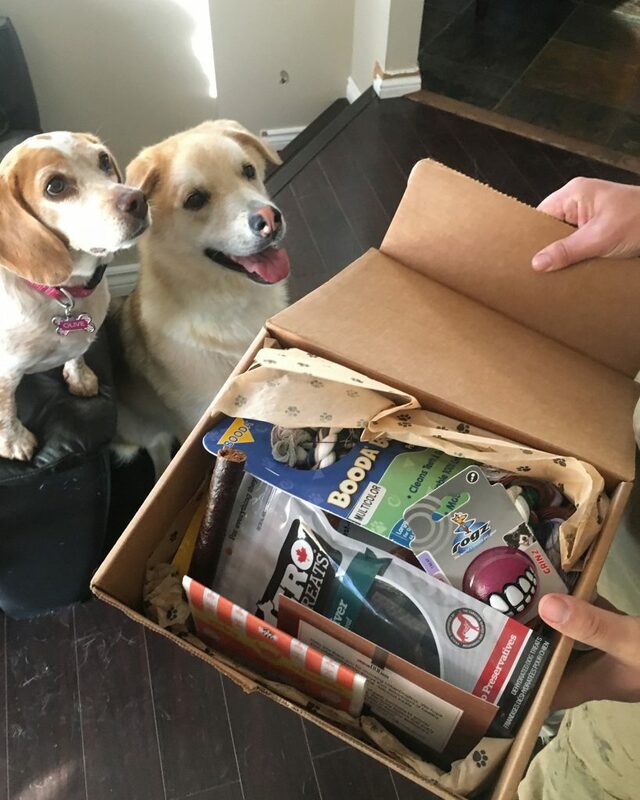 The owner thought it would be a nice way for dog owners to try different goodies and if they like it then they could go out and buy more – either in stores or eventually, the Urban Dog Box would like to incorporate an online store where you could order individual items that are featured in the boxes. Plus – home delivery is also nice! Healthy treats and toys for Olive and Artie! If you’re interested in checking out the Urban Dog Box in person, they’ll have a vendor booth at the Edmonton Humane Society’s first-ever Made for Pets market taking place Sunday, August 13, 2017. You can also of course, order online or enter below for a chance to win an Urban Dog Box for your doggo! 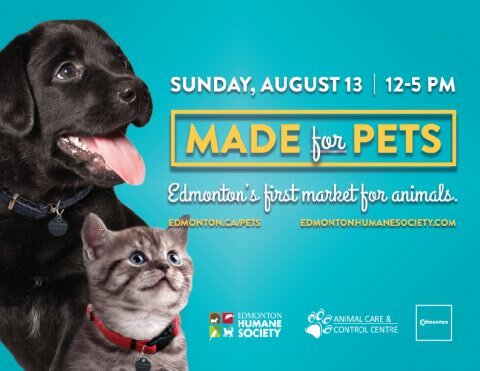 Urban Dog Box will be at the Edmonton Humane Society’s Made for Pets event on August 13! 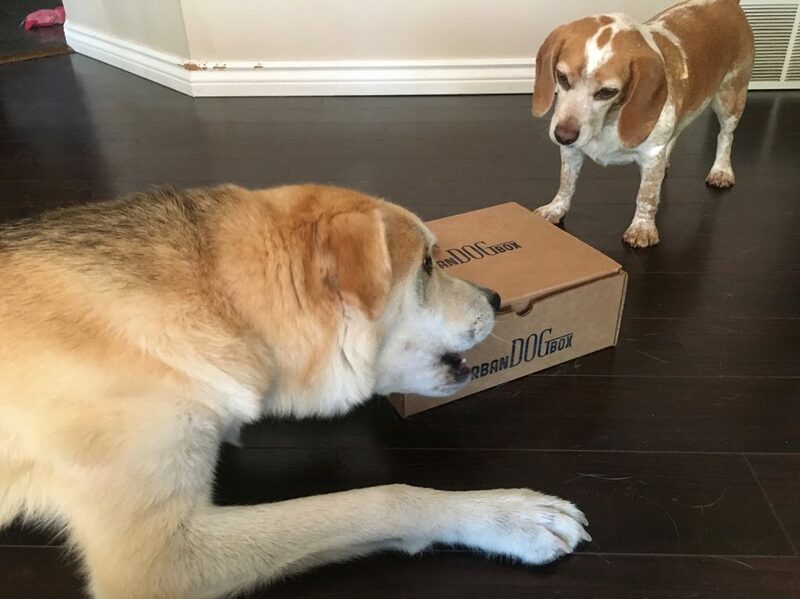 Thanks to the Urban Dog Box for sending Olive and Artie a box to try! And letting me do a giveaway for you! Leave a comment on this blog post telling me what type of treat or toy your dog loves most! Retweet my tweet about the Urban Dog Box! I will select one random winner across all platforms by August 16, 2017. Disclaimer: I will always provide my 100% honest opinion on this blog. The Urban Dog Box gave me a free box for Olive and Artie to try in exchange for social media promotion. They also gave me a free box to give away to readers. This does not impact the opinions stated in this post. Maverick loves liver treats….but let’s be honest he’s not picky! My dad’s dog (so mine by proxy) loves Dentabone treats! But he’s also happy to steal whatever is on my dad’s plate if he isn’t watching carefully. My dog’s favorite treats are dog chicken strips they sell in a huge bag at Costco, I forget the exact name right now. It’s always great to hear about Canadian-only business like this! A really nice change. Good for this local company! I hope they are successful. Charlie loves his chew treats after his walk! Emmett loves all treats except dried sweet potato. He spits that out. Darwin the beagle eats all the snacks! No favourites! My girls love almost any treat! As for toys, Bramble loves balls, and Thornly loves sticks and tug ropes. Gabriel loves balls he can chew on!! I’m excited that there’s a Edmonton-based dog box! My puppy loves the PB and Pumpkin cookies from another local business – muttmunch. My boy loves squeeky toys and can play day and night with it! My dog loves meaty treats but also has a thing for crackers and bbq chips if anyone gives her some. She loves toys that squeak the most. Cassi loves chicken feet and greenies. She would love to try some new treats from her very own Urban Dog Box!! my doggie Bowie loves any treats and sqeaky toys, while Charlie loves bully sticks and stuffed animals. My pups favourite toy is a stuffed chewbacca that used to squeak and crinkle, and has been so loved that it no longer squeaks or crinkles. Lola makes sure to carry chewy out of her crate when she is let out every morning, it’s the sweetest thing. My sweet little dog likes ANY kind of treat and his favourite toys are the furry type. My older dog has this rubber squeaky bone that he loves. It looks like it is from the Flintstones lol. It drives my daughter absolutely crazy when he has it. He is a lean mean squeaking machine. 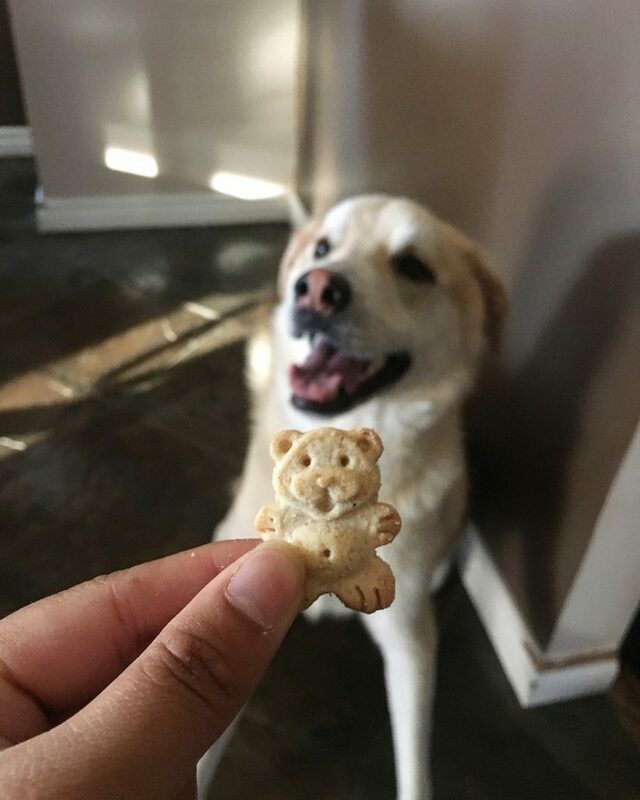 He doesn’t get it all the time-only as a treat.